E-mail your articles and book-length reports to mthirumalai@comcast.net. Please read the guidelines for the submission of articles, monographs, dissertations, etc., for publication in LANGUAGE IN INDIA, given below, immediately after the list of CONTENTS. From this issue, Language in India publishes articles in major Indian Languages in the pdf format. Check out the guidelines given below. Articles published in LANGUAGE IN INDIA are indexed in the most widely referred to database of EBSCOhost! The number of people accessing LANGUAGE IN INDIA is growing! We have received the ISSN number for the journal. Thank you, our dear readers and authors, around the world! The next issue (the issue of May, 2007) will be uploaded by 10th May, 2007. M. Jayamala, Ph.D., and J. Sheela, Ph.D.
S. Parvin Banu, M.A., M.Phil. Ethnic Killing in India, City of Joy - A New Addition to Sanskrit Classics?, On the Definition of Who All Constitute a Linguistic Group, Should the Prime Minister Know English to Hold His Job? 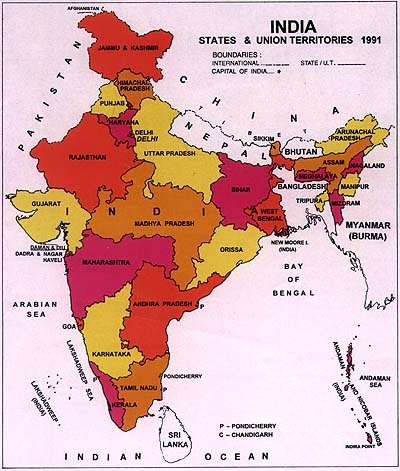 Language in India www.languageinindia.com begins, with this issue, publication of articles in major Indian languages. These articles in Indian languages will be published in the PDF format for easy accessibility.